A while back I purchased a custom LED “spinner” from a guy on Instagram who makes them for photographers. It’s a fun light-painting tool once you get the hang of using it! I haven’t had too many opportunities to use it, but I knew NYC had the perfect spot! 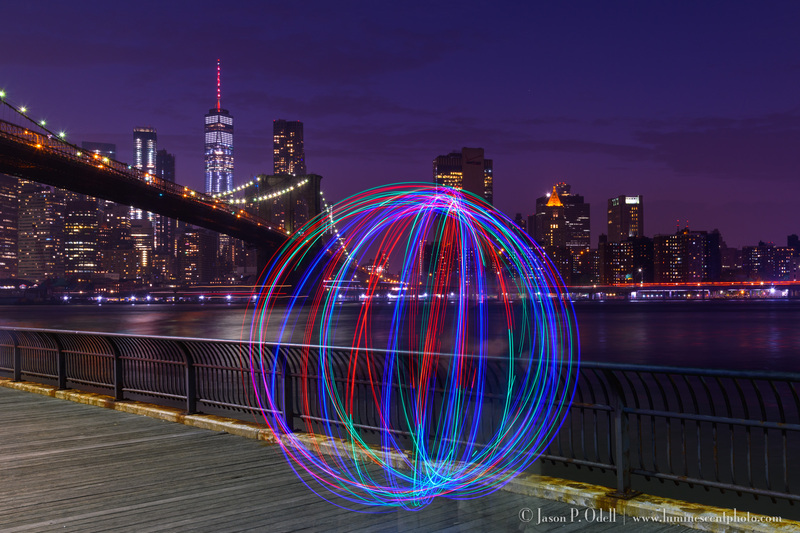 My clients all enjoyed capturing the spinning lights in front of the iconic NYC skyline at Brooklyn Bridge Park.